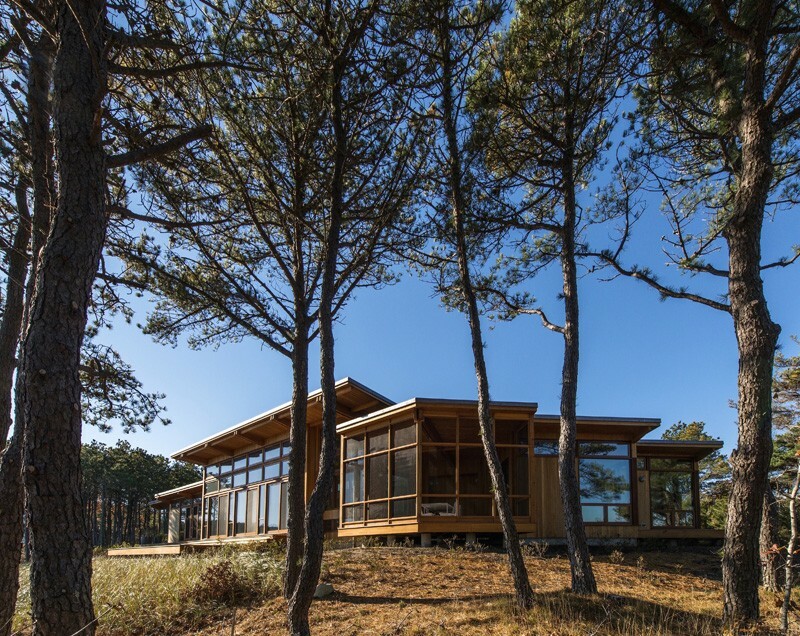 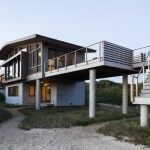 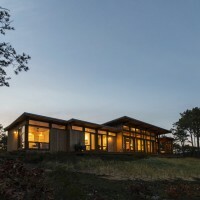 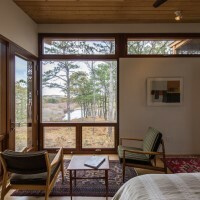 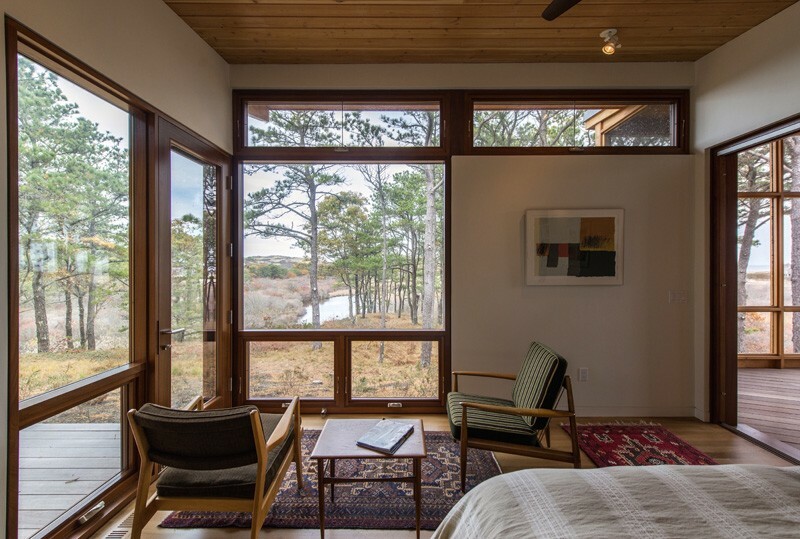 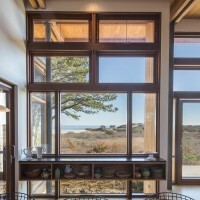 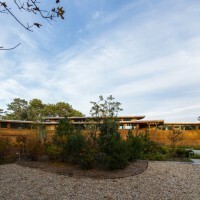 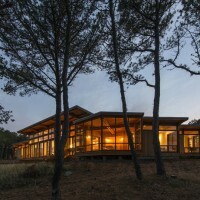 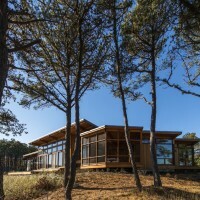 Hammer Architects have completed the Long Dune Residence, a home designed to take advantage of the views of the ocean and the Pamet River in Truro, Massachusetts. 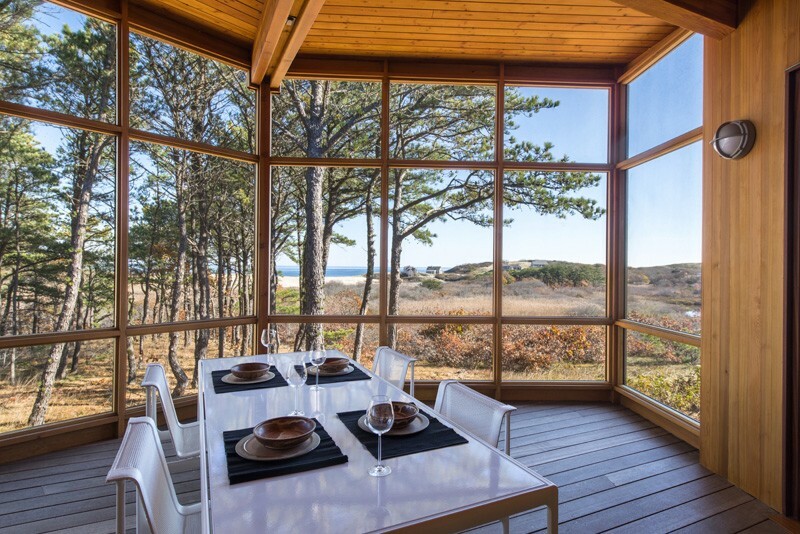 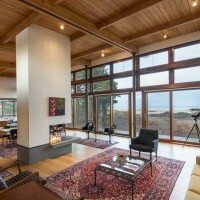 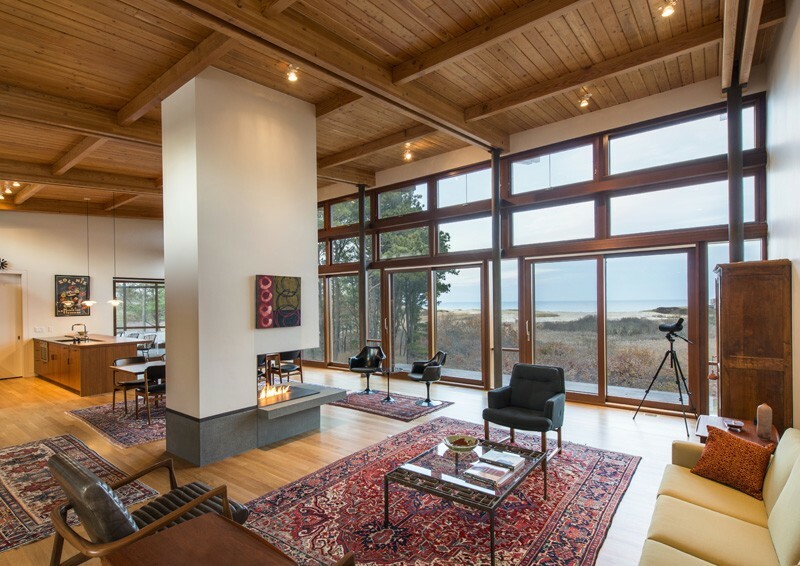 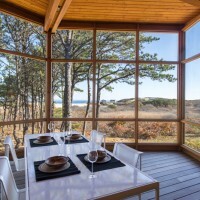 Perched on a coastal bluff overlooking the Atlantic Ocean, this new residence is designed to additionally afford views of the Pamet River and a fresh water pond. 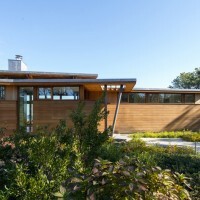 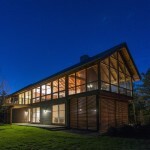 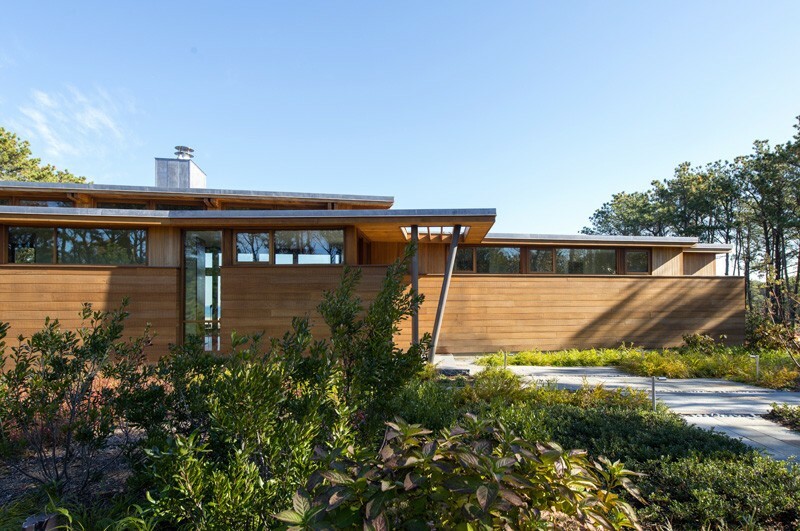 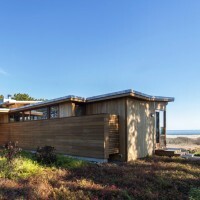 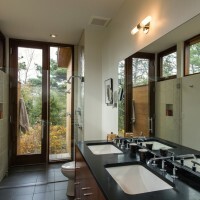 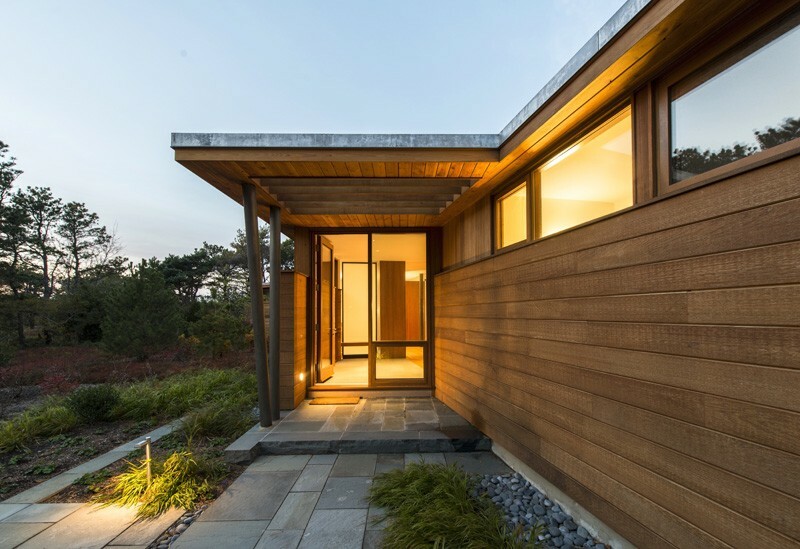 The entry side of the house appears very solid with its thick super-insulated wood clad walls and narrow strip windows enclosing the bathrooms, outdoor showers, stair, and laundry room. 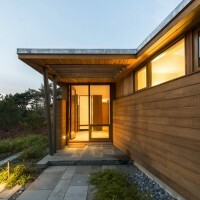 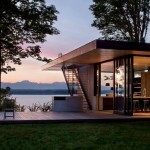 Little is revealed until entering the house through a tall glass door that emerges as one approaches the house. 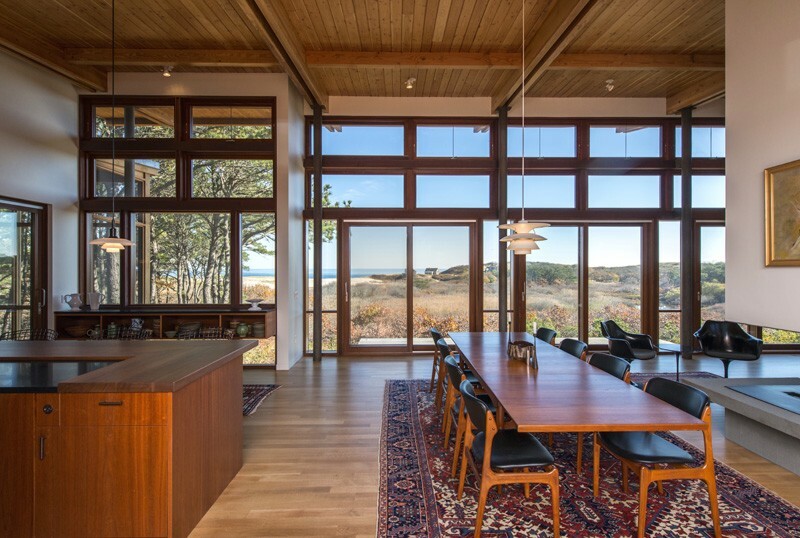 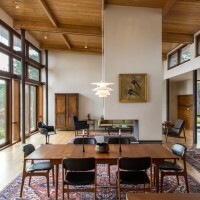 Once inside, the living and dining rooms, which occupy the building’s center, open to the dramatic water views through a floor to ceiling glass wall that features large sliding doors connecting to a multi-level outdoor deck. 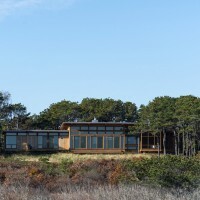 One wing of the house provides the guest bedrooms, while the other wing, which is rotated forty-five degrees in plan, contains the master bedroom suite. 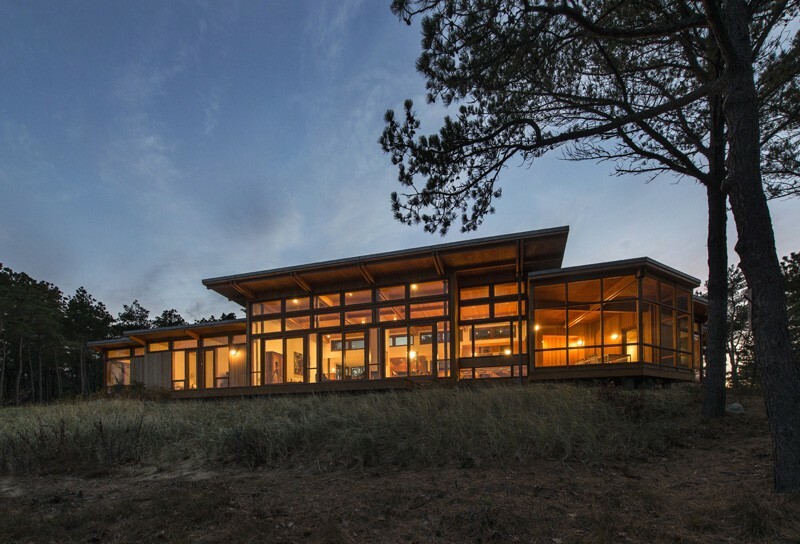 A screened porch with a referential kite shaped roof occupies the intersection of the two geometries providing views in all directions. 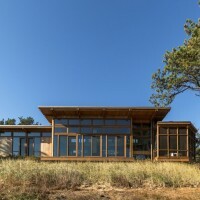 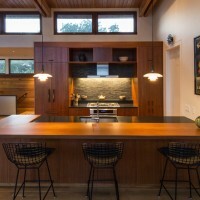 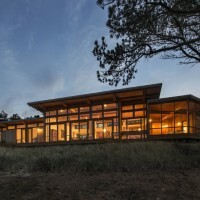 Active and passive solar design incorporating photovoltaic panels and deep roof overhangs with ventilating clerestory windows, promotes natural cooling and ventilation, while shading the interior in the summer months.